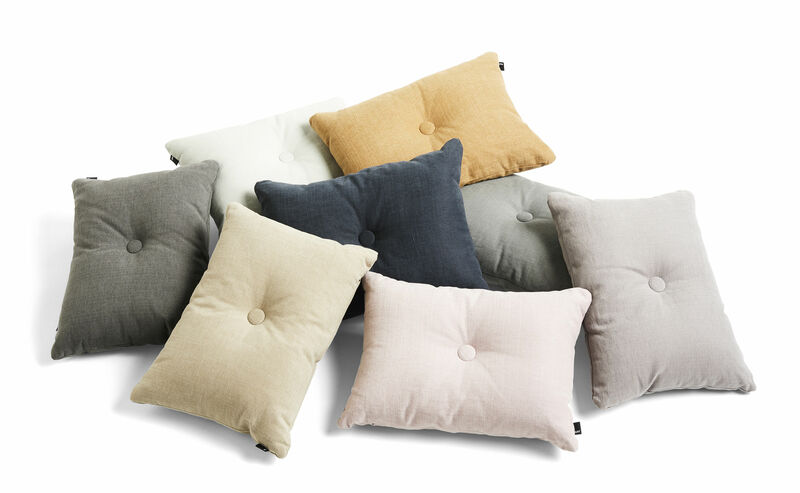 Dot cushions come in two different fabrics, in two sizes and in 10 colours, from the most chic to the most pop. The colours go together wonderfully: let your imagination run wild, piling up cushions, mixing colours, sizes, materials etc. 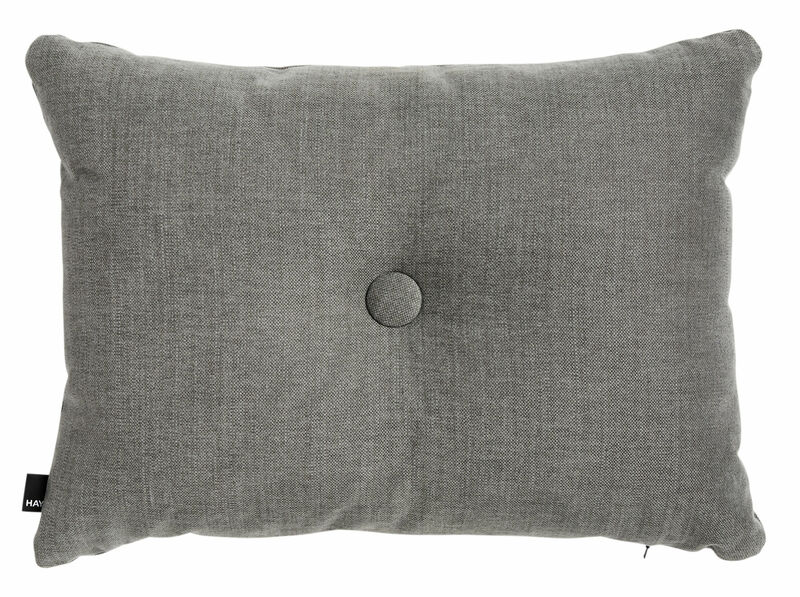 The Dot Tinit cushion (60 x 45 cm) is covered with a beautiful fabric in a mixture of cotton and linen, making it very soft to the touch. The stylish detail: the large buttons that adorn the cushion, like jewels. Each side is adorned with a button of the same colour as the fabric. The cushions' high-quality fabric and exceptional finishes are typical of the Hay Textile spirit.